Rat infestation has gotten so bad in one section of East Harlem, DNAinfo reports that residents are referring to the area as "Rat City" after spotting rats the size of small dogs/really, really goddamn huge rats. The New York City Department of Health and Mental Hygiene's apparently official Rat Expert Caroline Bragdon said the area along 103rd St. to 109 St. between Third and Lexington avenues is so infested with rats that it's been designated a "Rat Reservoir," which is gross. Bragdon said officials have surveyed the area's rapidly increasing rat population and are deploying exterminators to public spaces like sidewalks, tree wells, catch basins, and the Au Bon Pain that Splinter hangs out in. 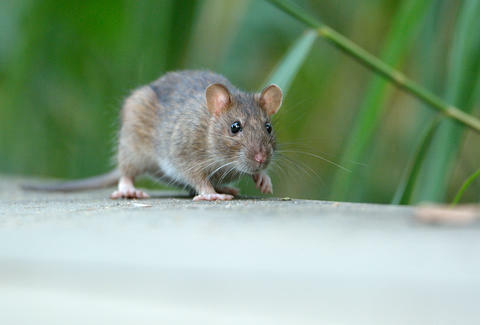 Last year, the city launched the "Rat Reservoirs" pilot program to combat increasing rat populations in chronically-infested neighborhoods in Manhattan and the Bronx, the Daily News reported. Given that "Rat Reservoirs" exist, NYC unsurprisingly has a "Rat Information Portal" residents can use to learn more on how they help in the war against the rodents. Thrillist reached out to the DOHMH for additional information. Tony Merevick is Cities News Editor at Thrillist. Incidentally, for the first time in all of his city-dwelling years, a rat ran right into his foot this morning, but it wasn't in East Harlem. Follow him on Twitter @tonymerevick.